The 40 foot long crabber fishing vessel Eagle III sank off the entrance to Coos Bay, Oregon. The Eagle III had allided with the north jetty near the entrance in 30 mile per hour winds and seas reaching 10 feet. The vessel capsized and sank setting off an electronic distress beacon. The Coast Guard was alerted and launched a search and rescue effort. The master of the Eagle III was able to jump onto the jetty and reach shore alive, but one crewman perished on the jetty and two others were reported as missing. 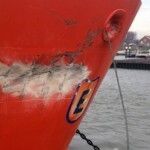 The Eagle III hull broke up and there is a large debris field. The incident is under investigation by local authorities and the Coast Guard. The 67 meter long self-propelled barge Argo caught fire on the Wester Scheldt near Terneuzen, Netherlands. 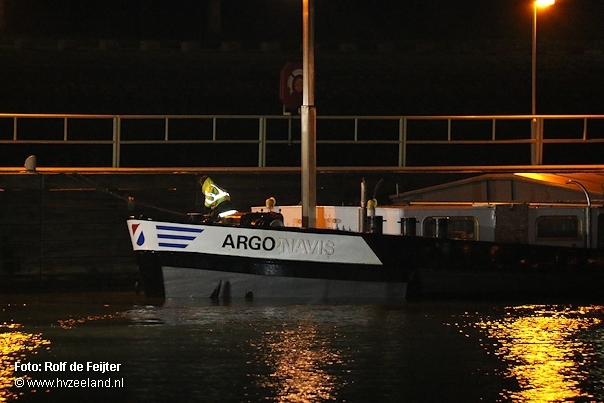 The Argo was headed to Stuttgart from the Gent-Terneuzen Canal with a cargo of stones when a fire broke out in the engine room. Two tugs came to the Argo’s aid and escorted the barge to the lock at Terneuzen. 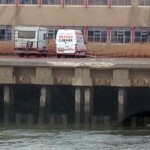 There a team inspected the vessel and found the fire already extinguished. A local fire brigade arrived on scene and help ventilate the vessel. No reports of injuries or pollution released. 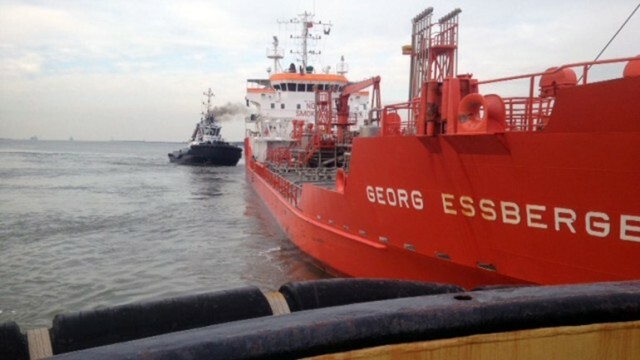 The 100 meter long chemical tanker Georg Essberger allided with the quay near Hoek van Holland, Netherlands. 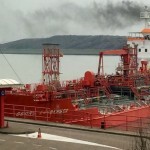 The tanker had suffered a power blackout while proceeding to the North Sea when the main engine failed. The crew attempted to do an emergency anchoring, but the Georg Essberger was unable to stop before it’s bow struck the quay. The bow suffered a gash, but no water ingress. The quay sustained some damage as well. No reports of injuries or pollution released. 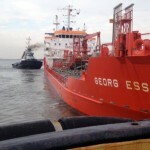 The Georg Essberger was later taken under tow to Rotterdam.